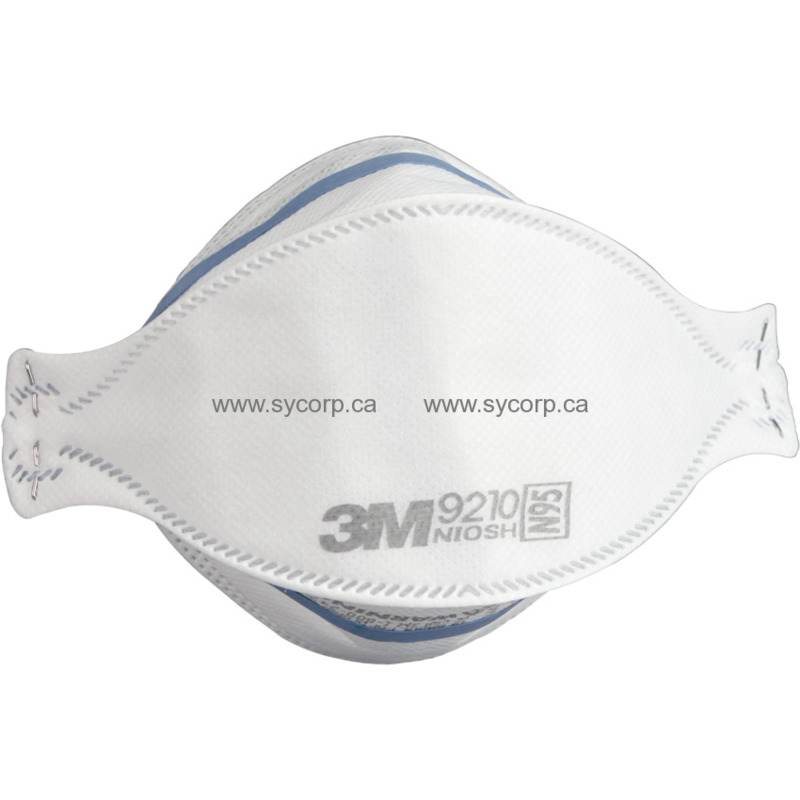 The 3M AuraSeries Particulate Respirator 9210+ N95 offers comfort and convenience. This three-panel, flat-fold disposable respirator has an innovative design that helps to provide comfortable, reliable worker protection against non-oil based particles. 3M`s proprietary filter media, 3M Advanced Electret Media, filters dust and other particles, while allowing for easy breathing. The soft inner material provides added comfort while the soft nose foam and adjustable nose clip help provide a custom seal. Braided headbands provide comfort and help minimize pulling of hair. Unique features to the 3M Aura Series Particulate Respirators include: sculpted nose panel that follows the contours of your nose allowing more room for eyewear, embossed top panel that is designed to help reduce the fogging of eyewear from warm, moist exhaled air, and innovative chin tab designed for ease of positioning, donning, and adjustment. These features are designed to enhance user comfort and help increase wearability. The unique three-panel flat fold design is collapse resistant and its individual packaging allows for easy storage prior to use.